Double Barrel Shotgun added.Available in Epic and Legendary variants. Vending Machines spawn more often, cost less, and have an increased chance to spawn at a higher rarity.Common Vending MachineSpawn chance reduced from 7.27% to 6.67%. Uncommon Vending MachineSpawn chance increased from 14.55% to 20%. Rare Vending MachineSpawn chance increased from 14.55% to 20%. Epic Vending MachineSpawn chance increased from 5.45% to 18.67%. Legendary Vending MachineSpawn chance increased from 3.64% to 8%. Reduced Remote Explosives drop count and max stack size.Drop count reduced from 4 to 3. 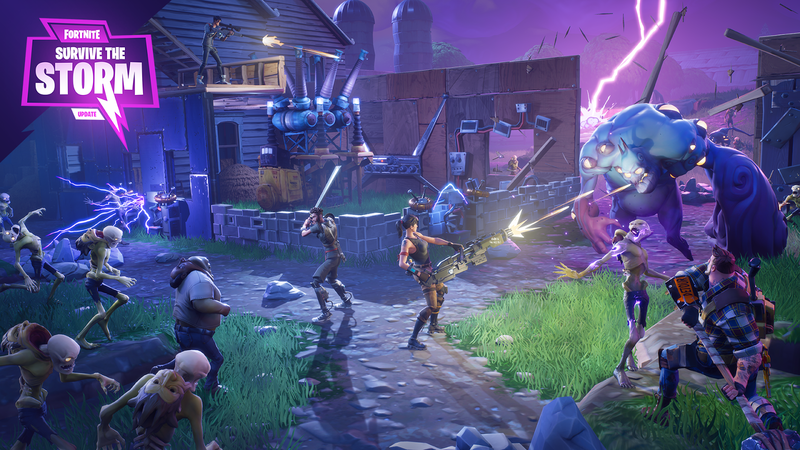 Introducing Weekly Horde Challenge Missions:Each week during the run of the Road Trip event, there will be a new Weekly Challenge mission in the Challenge the Horde zone. Weekly Horde Challenge 1 Quest rewards include:First completion: Choose 1 of 3 Legendary Flintlock ranged weapons. Mission Control has been added to Fight the Storm, Deliver the Bomb, Repair the Shelter, Evacuate the Shelter, and Launch the Rocket.Now all difficulty increases and mission start will require votes. Mythic Ragnarok Outlander comes to the Event Store.Available August 8th, at 8PM ET. New Perks:Fault Line: Seismic Impact’s cooldown is lowered by 6 seconds. Fixed the following weapons to work correctly with the Software Hero Perk:Pipe Down!